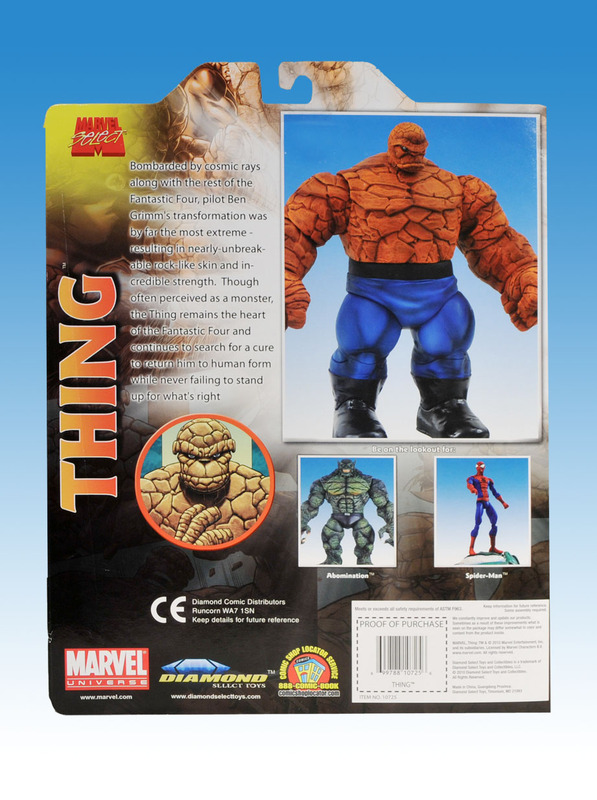 Hmm.... Im not to sure about this one, I love the detail and they really focused on the girth and size but with all the different figures of Thing out on the current and secondary market was he necessary? 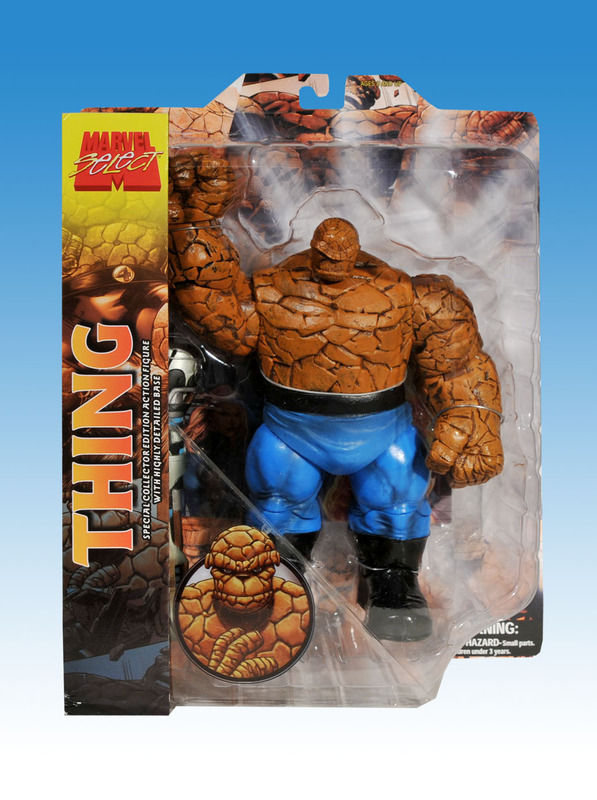 I mean sure its Art Asylum but just the sheer bulk makes him look like doorstop Thing or morbidly obese Thing instead of an Alan Davis, Bryan Hitch, Wieringo, Ditko designed Benjamin Grimm. It's kind of difficult to screw up the Thing. I mean he's just a big block, which is what this figure basically is. I think it's lacking in creativity. I mean just a hunkin block of plastic with little poseability. eh i think its alot harder than you think, theres been something wrong with every Thing so far and this one is kinda the same actually. i like him alot tho, i wouldnt say he's the best Thing ever. This figure looks absolutely terrible. I have him pre-ordered and I don't any other versions of him so he'll have to do for me. 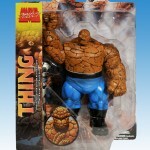 Looks tempting, but I'd rather have a figure with more articulation. Might pick him up depending on the price though. Looks nice, but more articulation would be better. 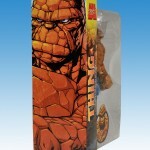 I think the problem with Ben here is that he is this huge brick-monster. Normally when you add articulation to a figure, you tend to break up the sculpt. That's fine for most figures, especially if you can hide it using the "seams" on their costumes, boots, wrist guards, etc. 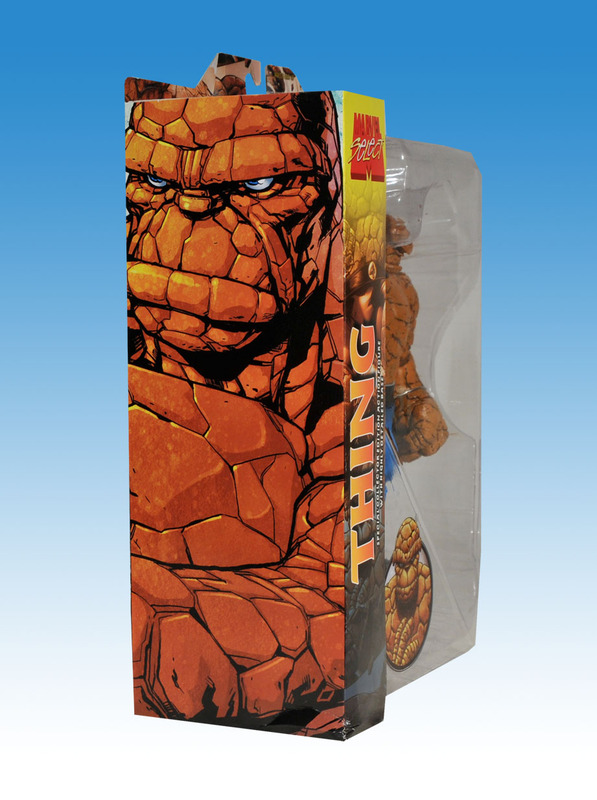 But when the figure's look is all about being this living brick pile, the sculpt is very important to maintain the illusion that he's made of rock. So I think what inevitably happens to Thing figures is that some of the standard articulation points are sacrificed in order to not break up the sculpt. 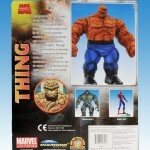 I think it will be a long time before we get a truly magnificent plastic rendition of Thing. But this one looks pretty good for now.